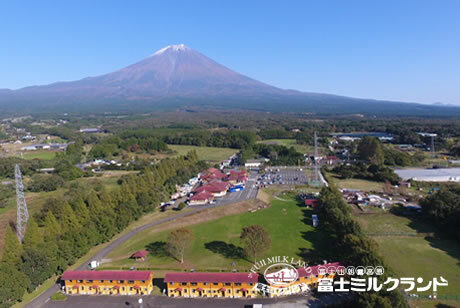 DRONE FUJIYAMA | Visit Fuji Milkland at the foot of Mount Fuji in Asagiri Kogen highland. Beginners are welcome. Equipment rentals are available. Bring your own drone and practice! Aerial video shooting school welcomes students. Trial class with equipment rental. 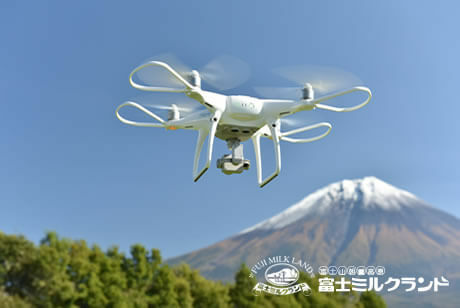 Drone classes 19,800 yen and up. Classes offered by professional trainers. Discount for classes and drone purchases. Observe the rules and fly safe! Always check the safety of drone equipment and flying area before flying. Do not fly outside of designated area. 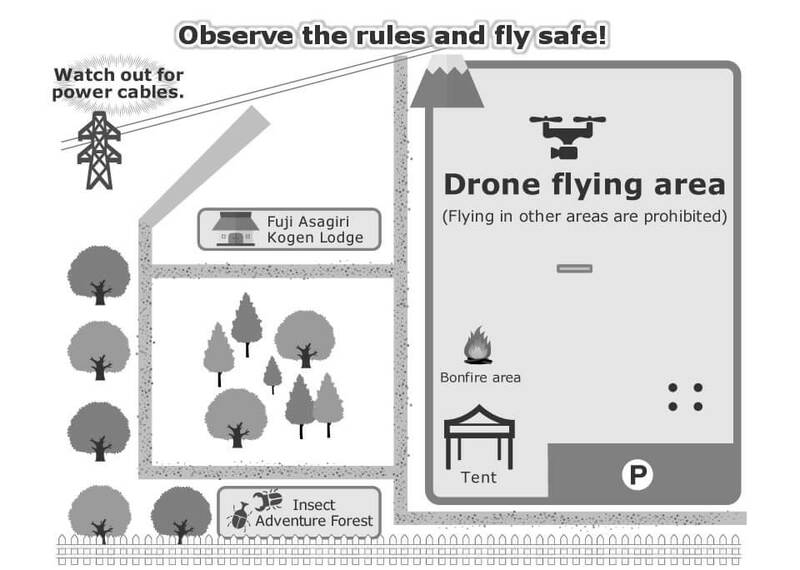 Do not take drone and/or controller outside of designated area. Do not fly out of your sight and/or attempt other dangerous maneuvers as they may lead to serious accidents. Inform the staff promptly in case of equipment failures and accidents. Staff may interrupt your flying when deemed necessary. 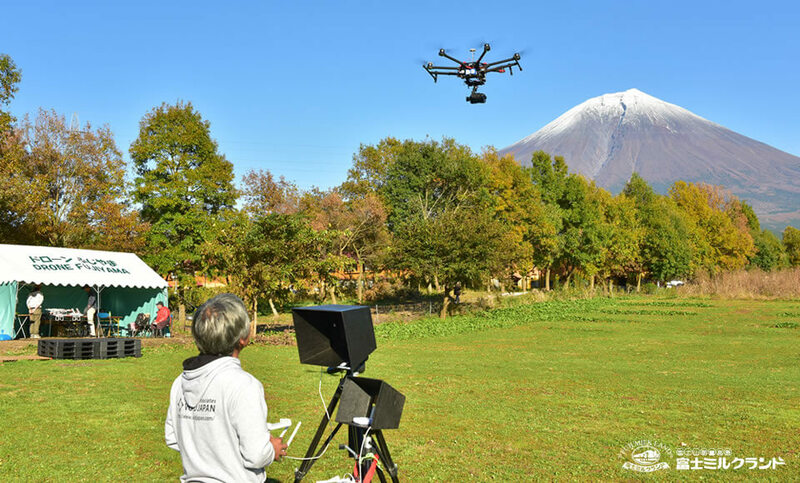 Drones are currently under constant scrutiny socially. Accidents could result in unexpectedly large problems. One cannot be too careful when it comes to flying drones. Please observe these rules and fly safe.